DPA: It seems we should throw away our preconceived notions about who is today’s auction-buyer. 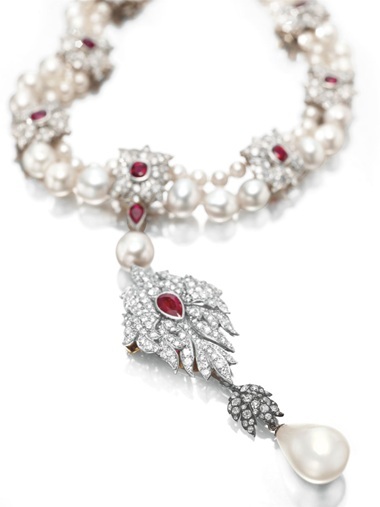 So who exactly is likely to buy jewelry at auction and why? Are these mostly investors, looking for a safe haven to park their money in erratic times or just people who love fine jewelry? 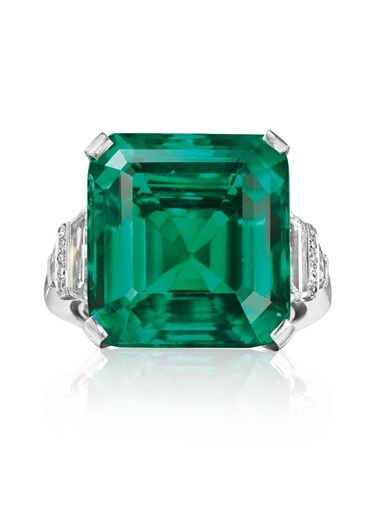 The Rockefeller Emerald, above, was purchased for $5,511,500. That’s $305,516 per carat, which broke the price-per-carat world record formerly held by a Bulgari emerald brooch. DPA: We’re talking about jewelry with price tags in the millions. What makes a piece so valuable? In some cases, you say, it isn’t necessarily deep roots in history or a famous owner. Contemporary pieces are commanding big prices at auction too. AG: Well, a famous original owner is always nice. I love that a 16th-century Tudor queen and a 20th-century movie star, Elizabeth Taylor, went to some of the big events of their lives wearing the exact same 50-carat pearl. But the auction-house people will tell you that it’s about the workmanship. It’s very much prized, and no one has improved on it over the centuries. But that workmanship can be re-created here and now, for a certain amount of money, and then you end up with something like the Van Cleef & Arpels Alhambra jewelry line, which I mention in the article. And you’ve got a $25,000 bracelet that looks perfect with a couture gown or with skinny jeans and a tank top. Introduced in 1968, the Alhambra Collection from Van Cleef & Arpel is a modern example of exquisite workmanship valued by jewelry auction bidders. 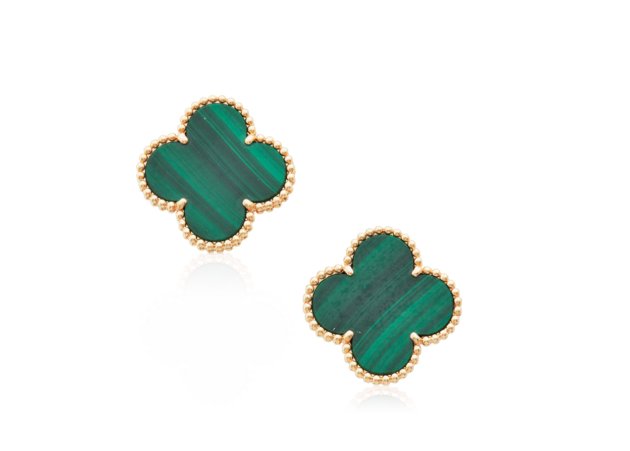 This pair of vintage malachite earrings recently fetched $4,000 more than their estimated price. DPA: You also talk about the demand for colored diamonds at auction. Are these more valuable than white diamonds? And why? AG: It’s all about rarity, the people at Christie’s told me. When a beautiful pink diamond turns up on the market, for example, it’s snapped up in a minute. 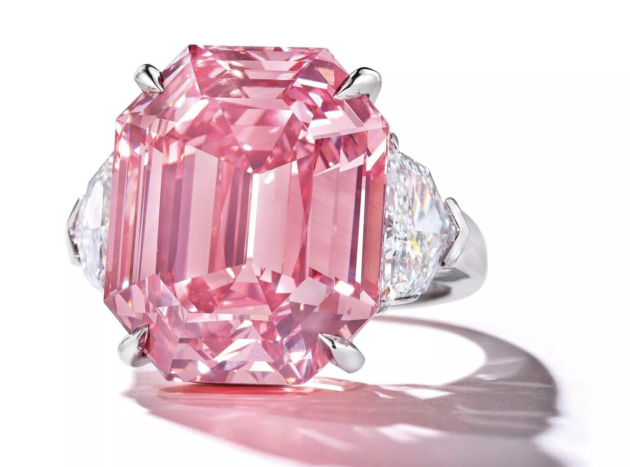 This fancy vivid pink diamond just shy of 19 carats—formerly known as the Pink Legacy diamond—was recently sold to Harry Winston Jewelers for $50.2 million.